The Northampton Community Garden comprises 7 acres at the eastern end of Burts Pit Road, adjacent to the Village Hill subdivision at the old State Hospital grounds, and just off Route 66. The garden occupies the former kitchen garden area of the Northampton State Hospital. Managed and maintained completely by the community of gardeners under the auspices of the Northampton Recreation Department, the 420 plots form the Garden’s living patchwork. Organic gardening practicesare strongly encouraged. 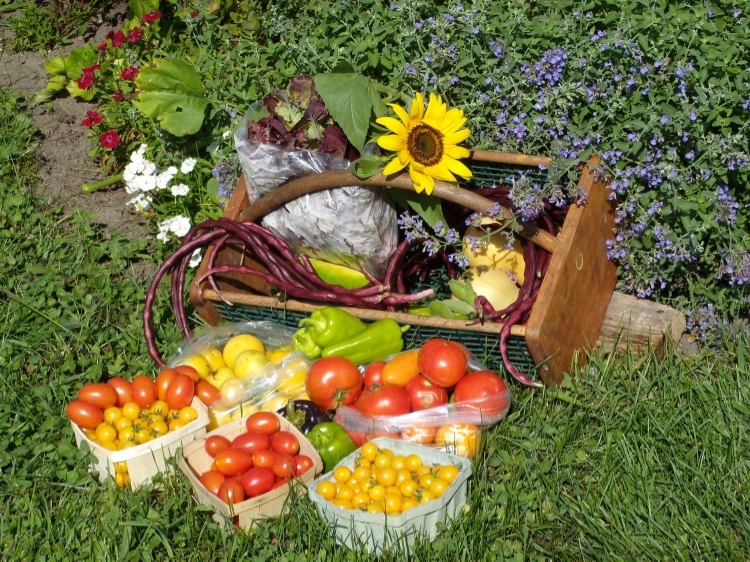 Since 2008 WMMGA has maintained a demonstration garden plot at the Northampton Community Garden. This plot consist of three raised beds (24 inches high) that are wheelchair accessible planted with pollinator friendly annuals and perennials, as well as raspberries, blueberries, and strawberries. In 2014, under the direction of Elaine Hyde, we expanded our efforts to include two regular plots devoted to growing food for the Northampton Survival Center. We continue to improve and expand our gardening efforts every year. 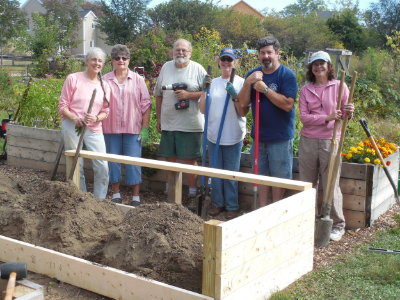 September 2015 - Rebuilding the Raised Beds. Monday, we had 8 hard-working volunteers and got a lot done. This is the last of our 3 beds, and the largest, but seems to be going easily, since we have the experience of having done it twice before. The old wood and posts were very rotted, so it was definitely time! Hope all of you will stop by to see our beautiful work! A New Season Begins - April 20, 2015. Its Opening Day at the Northampton Community Garden. 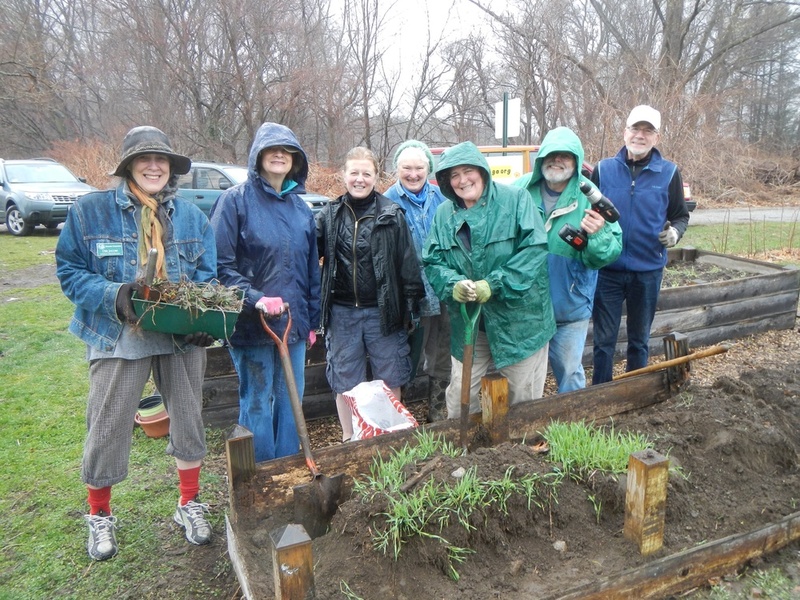 Nine Intrepid Master Gardens and Interns (from the Class of 2015) braved a raw day to begin the new growing season. Before the cold rain became too oppressive, we moved the herbs from the first of the three beds to be rebuilt into a temporary home; removed and bagged most of the soil from the bed; and demolished the old wooden sides of the raised beds. Many hands made the work light. Next week we will continue with rebuilding the raised beds and plan to plant peas and radishes, lettuces and greens and onion sets........maybe even more. We will also continue to cultivate the Survival Center plots. Come visit us any time to see our progress, look for information about the construction of raised beds and gardening in general, or just join in the fun of gardening! September 2014 - As the days grow shorter and cooler, we no longer need to tend our garden plots twice a week - the vegetables are growing more slowly, and it's getting dark in the evenings - so no more Thursday evening meetings. There is still harvesting to be done, and cleanup of weeds and spent plants. This past Monday, we spent time in our J20 plot, digging potatoes, removing old squash vines and many weeds. We planted the cleared area (formerly beans and potatoes) with a pea-oat mix cover crop. In future weeks, we hope to add strips of different cover crops, to see how they compare. The soil in our two Survival Center plots needs some help before next season - it is not nearly as good as what we are used to in our raised beds!